Is This The Funniest Real Time With Bill Maher To Date? Bill Maher had anti-censorship crusader Ice Cube, of "F**k the Police" fame, on his show last week to lecture him on what a "redneck" racist he is for using the n-word. He also had on Symone Sanders to join in the fun. Sanders is best known for responding to news of a white man being beaten by a group of black people in the streets of Chicago by mockingly saying, "oh my goodness, poor white people!" and insisting "we don't need white people leading the Democratic Party!" “Well, against racists. Yes,” Maher responded, stunned by Cube’s criticism. “Eh. Sometimes you sound like a redneck trucker,” added Cube. “No, I don’t. That I gotta push back on,” replied Maher, clearly on the defensive. It's just his opinion Bill. It doesn't matter if he's never even watched the show, all that matters is he knows in his heart you're a racist (because you're "white"). Cube can say "f**k the police" all day long and fight obscenity laws because it's a basic human right, but don't you dare use the n-word in any capacity, whitey. I'm glad Cube pointed out that just because Bill has had a black girlfriend in the past it still doesn't mean he's not a white supremacist. With that being said, Cube wasn’t done. “And I’m not talkin’ about you, Bill. But I’m talkin’ about guys who cross the line every day because they got some black homies, they got some friends, they think it’s cool. And it’s not cool because when I hear my homies say it, it don’t feel like venom. When I hear a white person say it, it feels like that knife stabbin’ me, even if they don’t mean it,” he said. Sanders joined the discussion half-way through to point out how Bill's "house n***er" comment was made in the context of it being "two years shy of the 400th anniversary of the first 20 African people being brought to this continent as slaves." Really well said. 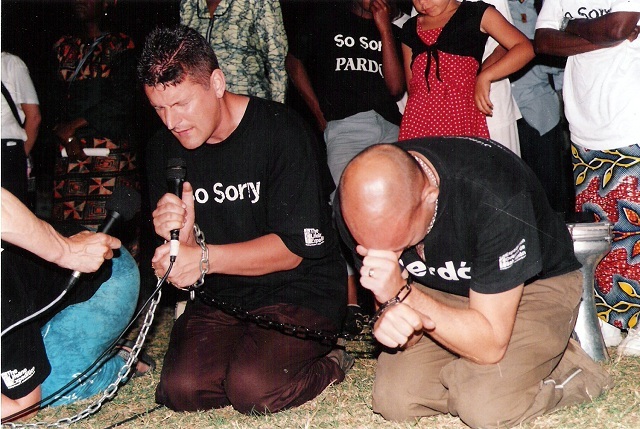 An apology for slavery is also in order, Bill. 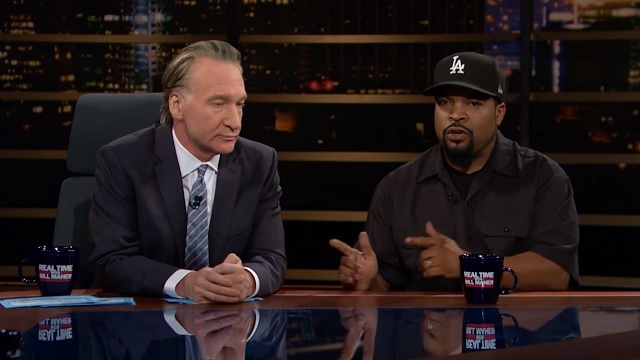 Maher sat around and pretty much took it all, he then begged Ice Cube to plug his new album, which is mostly just a re-re-re-release of old songs, including "F**k the Police." Asked by Maher if anything has changed since the release of the song 25 years ago, Cube said "the only thing's changed is the calendar." Truly hilarious stuff. Maher needs more shows like this, this is the type of "meta comedy" us comedy connoisseur can really enjoy.